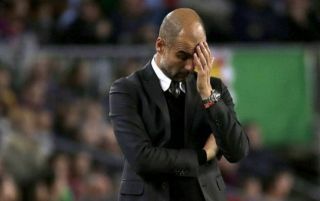 After coasting to the Premier League title this past season coupled with winning the League Cup, it’s questionable as to whether Man City boss Pep Guardiola needs to do much with his squad. City accumulated 100 points in the league, scored 106 goals and conceded just 27 to boast the most potent attack and best defensive record in the top flight. They did fall short in the FA Cup and Champions League though, which perhaps gives grounds to an argument that they still need to strengthen in order to compete on multiple fronts. As reported by talkSPORT, they’ve been linked with the £52m signing of Napoli midfielder Jorginho, in what would be a very sensible addition to the squad. Yaya Toure has bid farewell while Fernandinho needs cover having just played 48 games this season ahead of his 34th birthday next year. Further, Jorginho has shown over the last two years or so what a classy player he is, pairing an ability to offer defensive coverage in front of the backline with his technical quality and passing range to dictate the tempo of games for Napoli. However, a crucial factor may now be a problem for Man City and Guardiola in landing their reported target, as after Carlo Ancelotti was announced as Maurizio Sarri’s successor on Wednesday, Jorginho’s agent, Joao Santos, has suggested that they will wait to talk with the new Napoli coach to see if he’s wanted. “Ancelotti was a real surprise, but football is dynamic and you turn over a new page quickly,” he told Radio Kiss Kiss Napoli, as reported by Football Italia. “Today Jorginho is a Napoli player, he has not signed anything with anyone and Napoli have not negotiated a deal with anyone. The appointment of Ancelotti is a potential game-changer for the Serie A giants. After Sarri’s exit, there could have been a risk of the squad being broken up. Instead, they’ve got a coach who has won almost everything at the highest level and will surely hold plenty of pulling power to keep their best players and sign top reinforcements. Whether he will keep Jorginho in Naples remains to be seen, but it could be a potential headache for Guardiola and his transfer plans.